China’s next generation nuclear vision includes rolling out a series of floating marine power plants to light up offshore initiatives by 2020, a government spokesperson for science and technology has confirmed. A five-year-plan published in March 2016 detailed China’s desire to boost its nuclear generating capacity. The development plan also pledged to “strengthen” sea oil and gas exploration, a goal that would be buoyed by offshore nuclear sites. According to Wang Yiren, a director at China’s State Administration of Science, Technology and Industry for National Defense, floating nuclear stations will help provide the extra juice necessary for powering China. Yiren told China’s Science and Technology Daily that offshore energy supplies such as diesel generators are inefficient for offshore initiatives such as oil drilling. He confirmed floating power platforms are a major component of China’s latest five-year plan, while the Atomic Energy Agency has conducted research into key technology for the development. 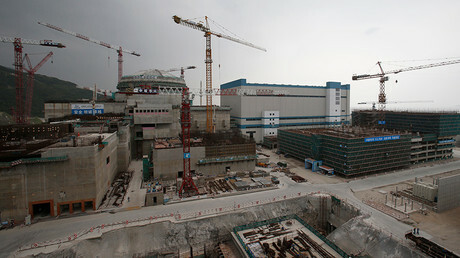 China currently has 36 nuclear power plants in operation, while another 21 are being constructed. Although China’s latest social and economic strategy does not mention floating power plants specifically, an objective to “accelerate the development of new generation nuclear power equipment” is included. The document also centers on building a modern energy system, a focus which could see China’s coastal power belt overhauled and the “construction of independent nuclear power projects”. In 2015, China’s National Development and Reform Commission approved a project by the China General Nuclear Power Group (CGN) to build a floating reactor. CGN – the nation’s largest nuclear operator – said at the time that project ACPR50S could provide “electricity, heat and desalination” to islands and offshore energy exploration. 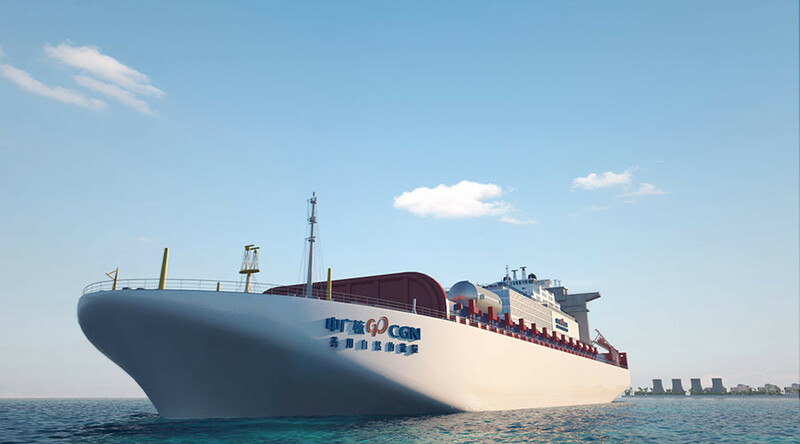 Construction of the large nuclear ship began in November last year, with the state-owned Dongfang Electric Corporation signed on to take delivery of the vessel. In design concept images, the floating plant resembles a cruiseliner, except it contains a small 200Mwt reactor. Similar marine energy plants are also being developed by the Nuclear Power Institute of China, who in 2015 partnered with a UK-based engineering firm to create a “first-of-a-kind nuclear vessel”.